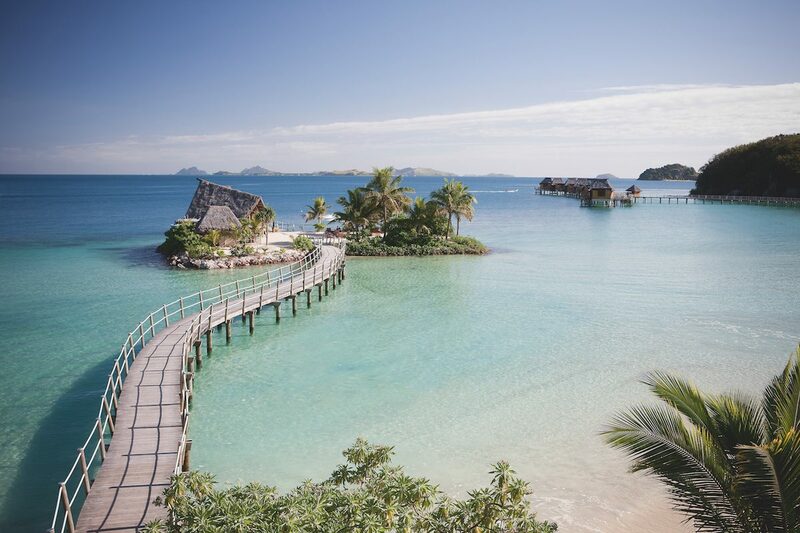 Luckily, you don’t need to be living your best afterlife to enjoy one of the world’s most beautiful spots – Fiji’s Likuliku Lagoon Resort. 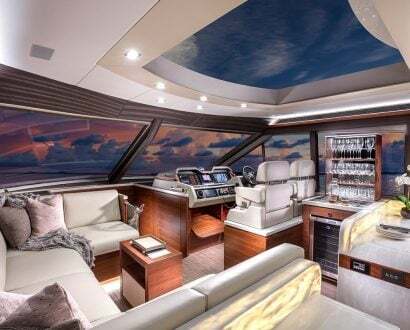 "Luxury is a state of mind,” they say. No. Luxury is lounging in your very own plunge pool, just a few short strides from a private stretch of sandy beach and crystal blue waters, with a glass of Champagne in your hand, a frangipani behind your ear and the warm sun on your face. Welcome, dear reader, to Likuliku Lagoon Resort. 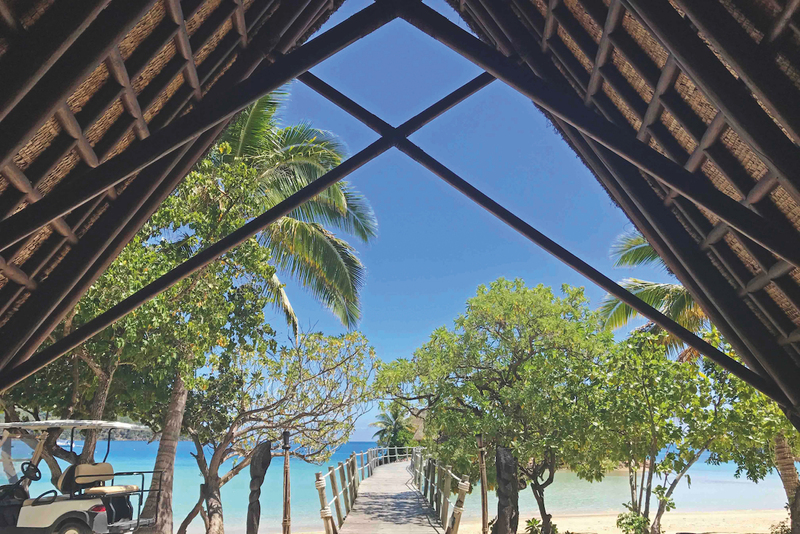 Located on Malolo Island, just 25 kilometres (or a 10-minute flight by seaplane) from Nadi International Airport, Likuliku is a drop-dead gorgeous – not to mention, multiple award-winning – Fijian island retreat, where barefoot luxury is the order of the day. Meaning ‘calm waters’ in the Malolo dialect, it’s slightly disappointing that it doesn’t directly translate to ‘heaven on earth’ because this is surely what the afterlife must look like. Your celestial experience starts as you catch your first glimpse of the paradisiacal island from the window seat of your seaplane as it swoops down from the sky for a watery landing in crystal-clear shallows. Stepping out of the hot aircraft and onto the cool jetty, you’re soon surrounded by smiling faces and the sound of melodic singing voices. “Bula, welcome home”, your newfound family (at least for the next few days) chorus. A heavenly home away from home, albeit a far superior, palm-fringed version, is exactly what a stay at Likuliku feels like. That’s mostly thanks to the incredible (italics intended) staff, 35% of whom have been there since day one, and who all have the uncanny ability to remember your name upon arrival. 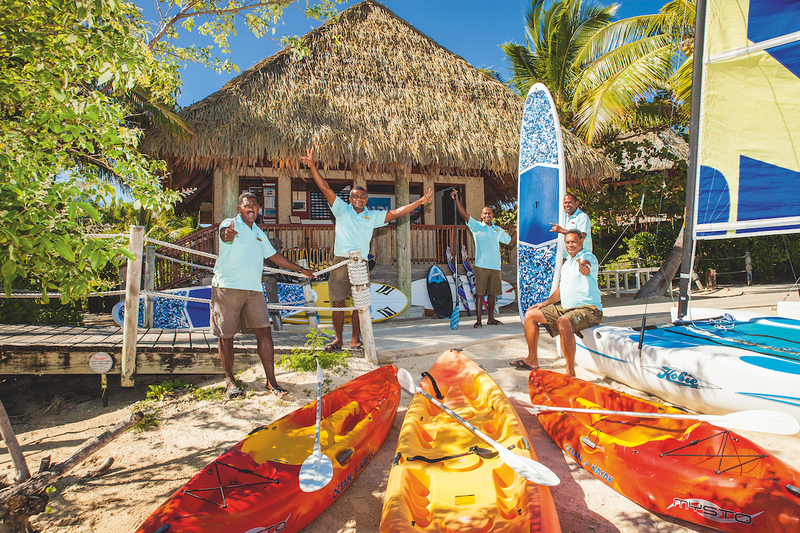 They’re also famously friendly (be prepared to say “bula” A LOT), memorably kind, and fiercely proud that this adult-only retreat is Fijian-owned and the first to boast overwater bungalows. It’s been over a decade since those 10 long-legged habitats were set in a protected marine sanctuary, and while other resorts may be following suit, none can quite match the perfection that is Likuliku. It’s why over 48,000 guests have visited the island, with 4,000 of these returning, some honouring the resort with their 16th stay. View from the check-in desk. Lounging around at Masima Bar. The bathrooms of the beachfront bures. So why return to Likuliku for the 16th time? For so many reasons. The food is astonishingly good. 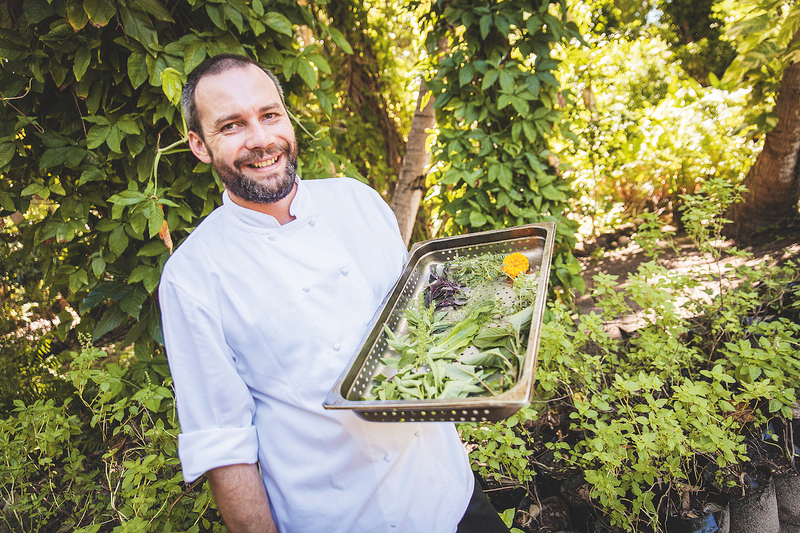 Executive Chef Shane Watson will surprise, delight and satisfy you with dishes that are fresh, clean and creative. Mixing the new and exciting, with the traditional and comforting, the menu uses only the freshest local and the best international produce. What’s more, it changes daily, so even during a week-long stay at Likuliku you won’t eat the same thing twice. Unless, of course, it’s breakfast time and you simply can’t get enough of the fresh crab omelette with chilli and papaya relish. And who could blame you? Lunch is a long, lazy three-course affair, but with all that paddleboarding, snorkelling and, er, lying by the pool you’ll work up quite the appetite, so each course will be surprisingly welcome. Start with a refreshing ‘shot’ of iced mango and passionfruit cooler or iced pear and bush lemon, before enjoying a bite-sized appetiser of crispy fish dumpling with hoisin sauce or fried prawn with chili jam. Then it’s on to a main of delicious local coral lobster salad, Chinese-style roast pork with steamed jasmine rice, grilled saddleback snapper or woodfire-grilled New York strip steak. Just be sure to leave room for dessert, which can be anything from a summer melon salad with Champagne jelly to Likuliku donuts, with lemon curd, berries and white chocolate mousse. Cue the sound of angels singing. 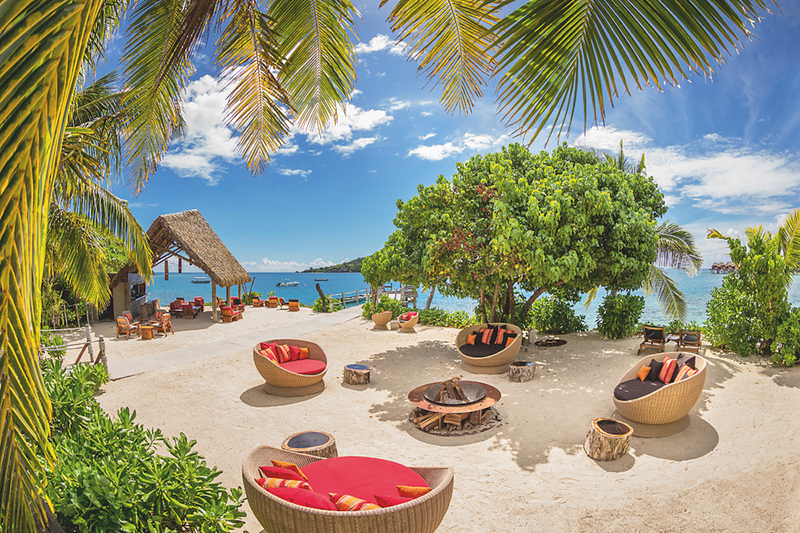 An afternoon of island hopping, scuba diving or, er, sunbathing, sails by and before you know it, it’s cocktail o’clock and there’s nowhere better – probably on planet Earth – to watch the sun go down than at Masima Bar. Situated on its very own island in the central lagoon, sip a Dodomo (white rum, coconut liqueur, Fijian honey, coconut milk and a dash of Kahlua) and watch the sky turns all shades of pink and purple as the sun slips quickly and silently into the South Pacific Ocean. 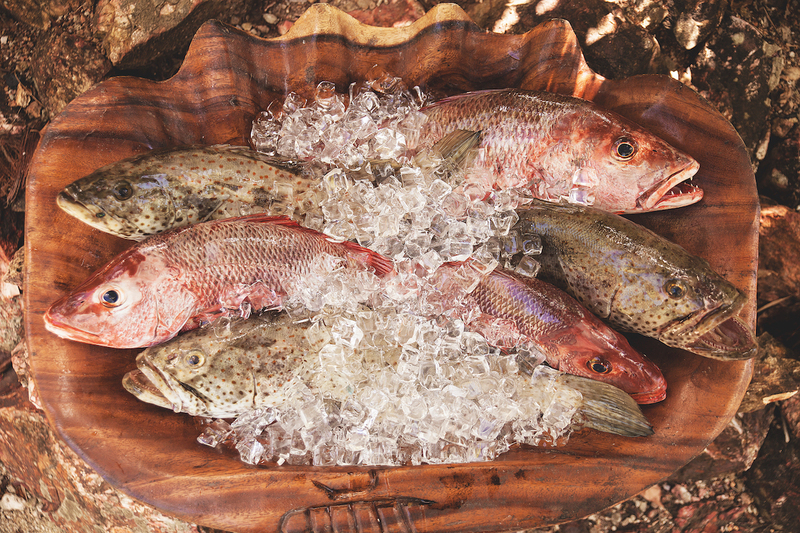 A short stroll back across the jetty to Fijiana Restaurant and dinner is now served, which is when Chef Watson and his team really come into their own. To list all the incredible dishes on offer would take far too long, and to choose a favourite would be far too difficult, so take this as a mere sample of what to expect. An amuse-bouche of tempura prawn with wasabi, ginger and coconut awakens the palate, before an entree of seared ocean scallops with kohlrabi, young coconut gel and lime delights it. It’s then on to a main of grilled wagyu flank, with soubise (onion sauce), mushrooms, bacon and a side of fried local cassava, before finishing with Fijian vanilla crème brûlée, shortbread and strawberry sorbet. 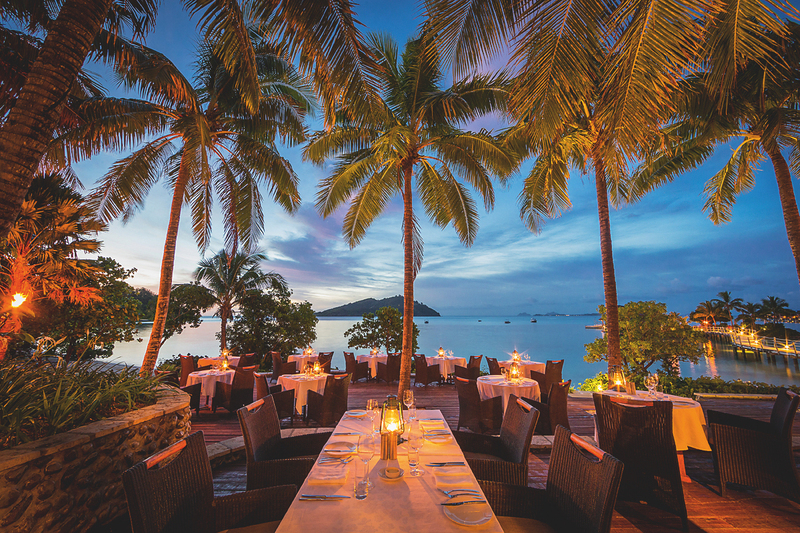 Add to all this the warm breeze, the soft light of the flickering flame torches and more stars in the sky than you’ve ever seen, and this makes for one unforgettable dinner for two. If you’re partial to a little digestif, it might be best served back at your not-so-humble but incredibly comfortable abode. 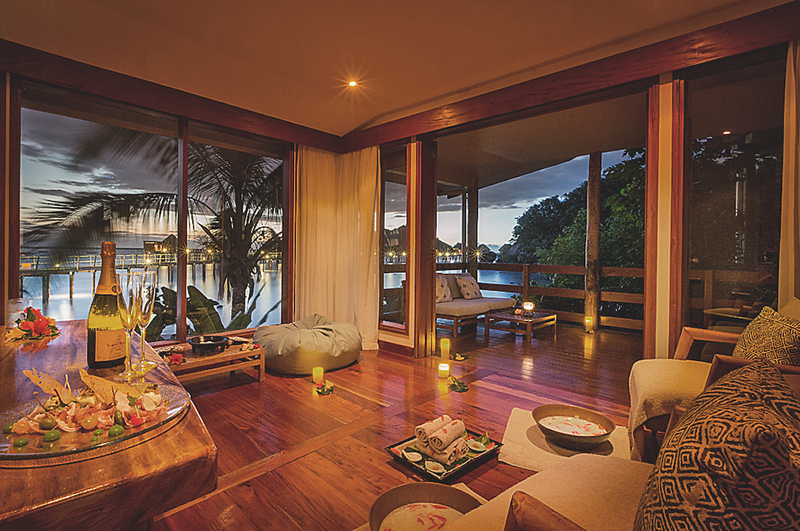 Whether it’s an overwater, beachfront or garden bure, you can’t go wrong with room selection. 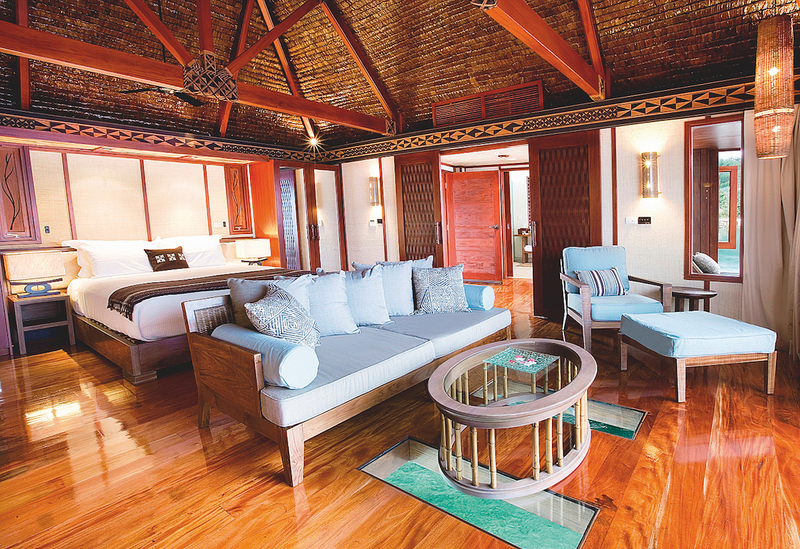 Each features traditional architecture and materials using natural elements unique to the region, from pitched and thatched roofs to local hardwood floors. 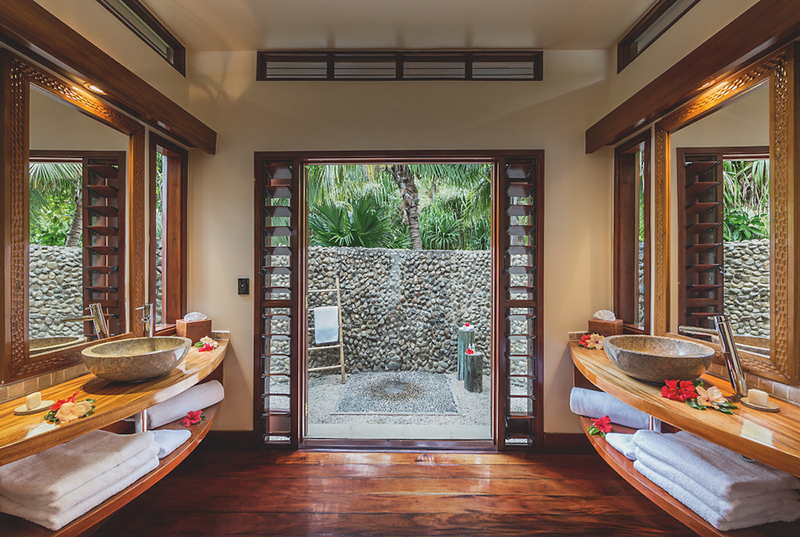 There are cushion-strewn daybeds, built for lounging, bathrooms stocked with coconut-fragranced Pure Fiji products, and plunge pools and outdoor showers are de rigueur. 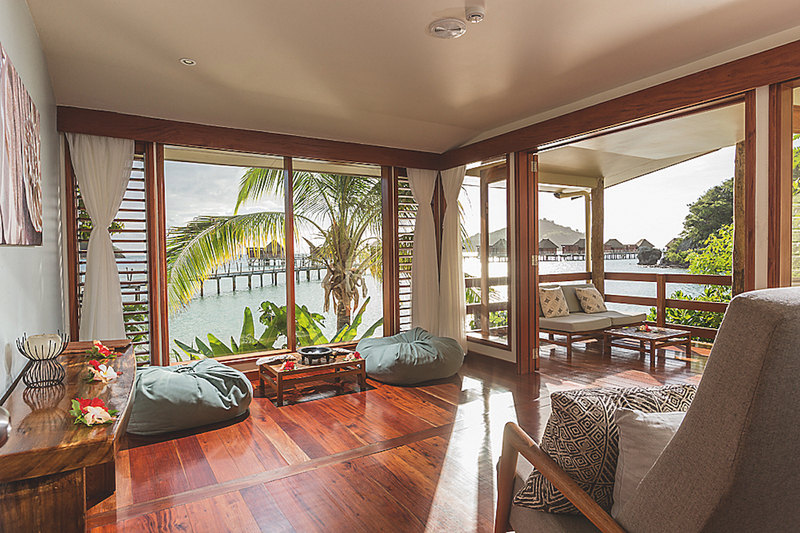 The overwater bungalows even have their own private balcony and ladder that leads straight into the ocean (which is also visible through a window in the living room floor). Chef Shane Watson and his amazing food. 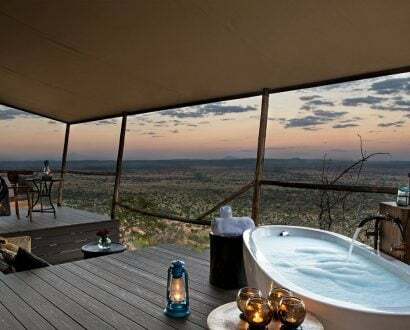 The Tatadra Spa chill-out lounge. Your newfound family at Likuliku Lagoon Resort. But who wants to be looking at the most incredible array of sealife through a window, when you can simply join them in their underwater world? Likuliku’s ‘calm waters’ belie the riot of life going on within – the lagoon is surrounded by a fringing coral reef that is rich with tropical fish, so be sure to make good use of the complimentary snorkelling gear, as well as the stand-up paddleboards, kayaks, sailing and wind surfing equipment. 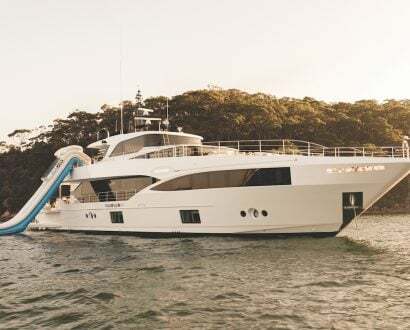 If you want to venture further afield and explore other snorkelling sites, then try one of the many island-hopping excursions. Head out early in the morning, and visit one of the most stunningly beautiful islands in the Mamanucas – Monuriki – which is where the famous Cast Away movie with Tom Hanks was filmed. Arrive before the cruise ship tours descend en masse, and it will be just you, the iguanas and the discarded coconut shells shaped into the word HELP on its sandy beach. 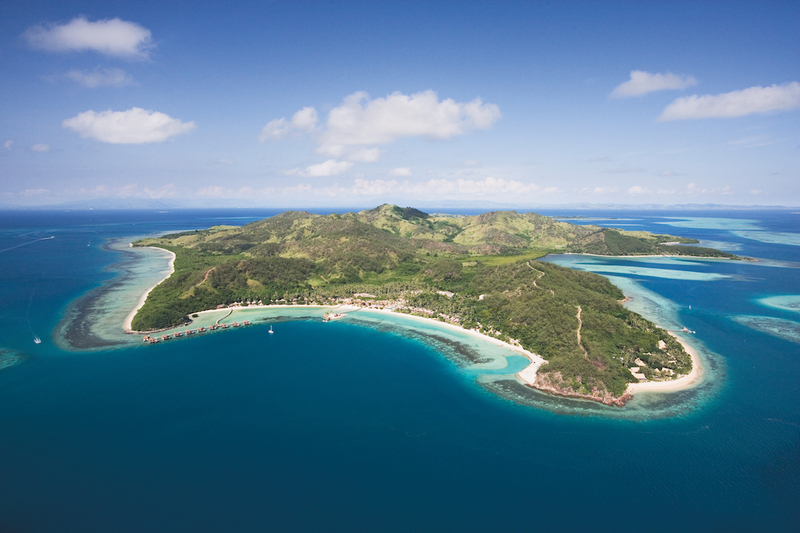 It’s then on to the sister islands of Monu, Yanuya and Tavua before finally stopping at Mana Sand Bank for an hour of languid snorkelling above coral reefs. 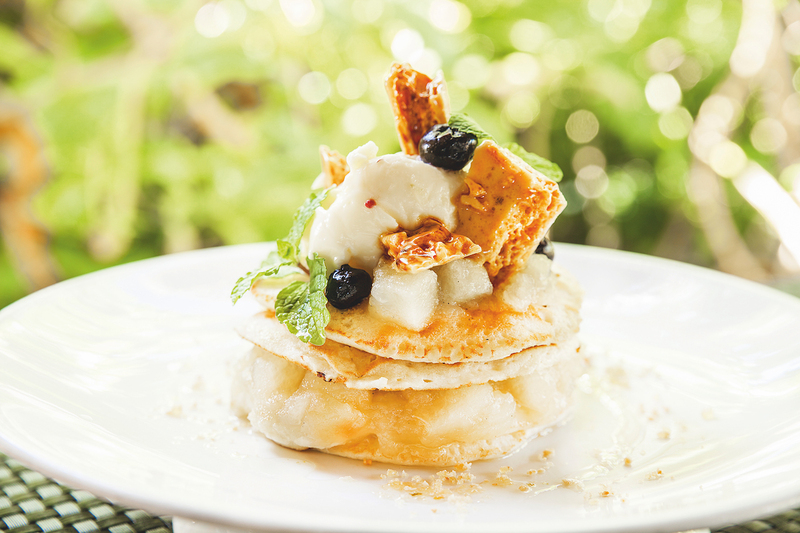 You’ll finish the most perfect morning off with a late breakfast (go on, get the crab omelette again) back in the bosom of this most beautiful resort. And just when you think it can’t get any better, when you have to pinch yourself really, really hard to make sure you’re not asleep (or, you know, dead), you find yourself at Tatadra Spa which means ‘house of dreams’. Nestled against the green slopes of the island, this luxurious and tranquil hideaway provides the ultimate tropical indulgence. Ask for Rosie, whose hands have clearly been blessed by angels, and enjoy, quite possibly, the best massage you’ll ever experience. As you float back to your room, along pebbled paths and walkways that pass over water, with the heady scent of flourishing vegetation in the air, and the sound of waves lapping against the sand, you’ll, not for the first time, feel like you’re experiencing something so perfect it can’t be quite real. An almost out-of-body experience that you don’t ever want to end.